50mm external wastegate. Combining a compact body, superior flow path and high temperature resistance makes the Pro-Gate50 a market leader in its sector. Shielded diaphragm housing ensures excellent heat handling capabilities. 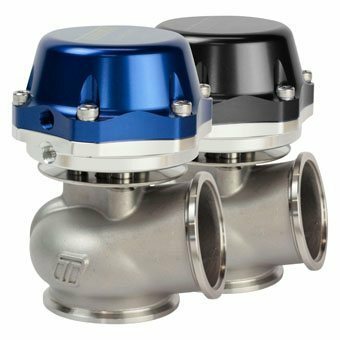 Suitable for high performance turbocharged engines with an external wastegate turbo system. Suits 2.00” outside diameter pipe. Fits older-style Pro-Gate48 and Power-Gate50 flanges. 7psi outer spring (fitted), 10 psi middle spring, inlet and outlet weld flanges and V-band clamps, valve seat and 2 x 1/8 NPT vacuum fittings. Kit Builder Packs available to customer specifications.